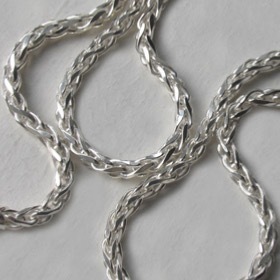 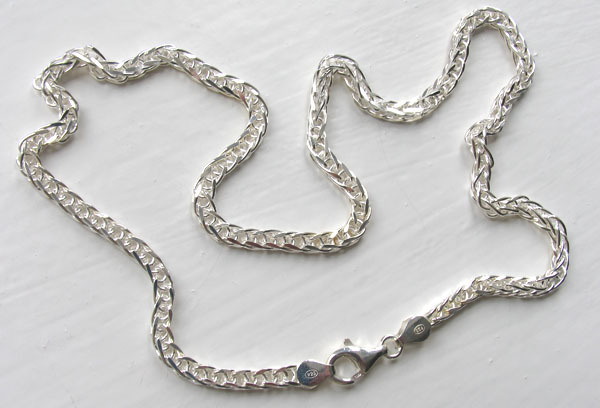 Sterling silver wheat chain, width 4mm. 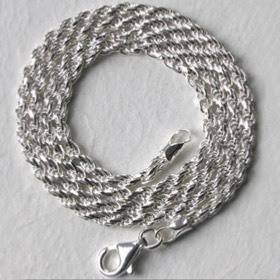 This is a fabulous diamond cut wheat chain made by one of Italy's finest chain makers. 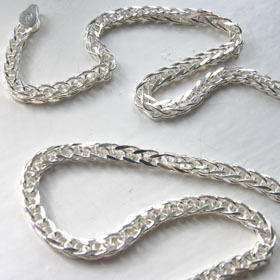 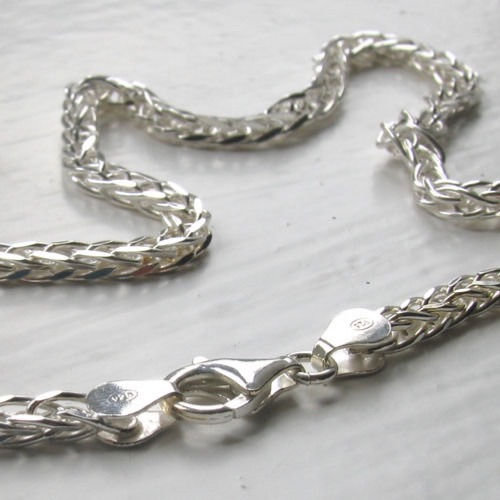 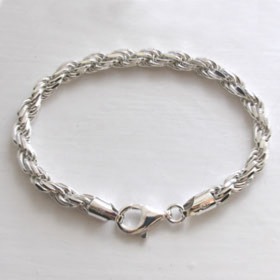 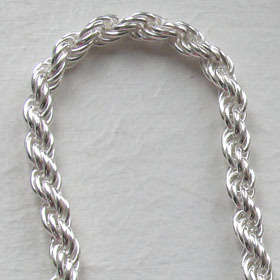 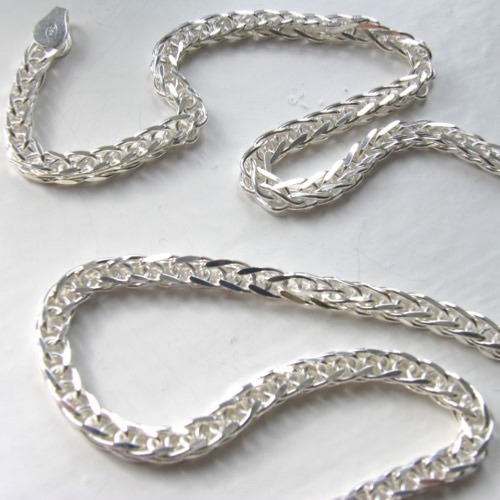 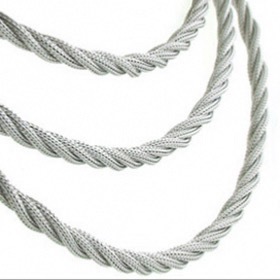 This style of silver wheat chain is loosely woven and therefore very fluid. 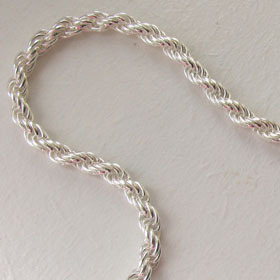 It drapes beautifully and looks excellent worn alone as a silver necklace but equally gorgeous as a pendant chain enhancing your favourite pendant and adding some sparkle to the resulting necklace. 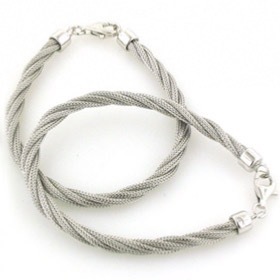 It fastens with a lobster claw fastener. 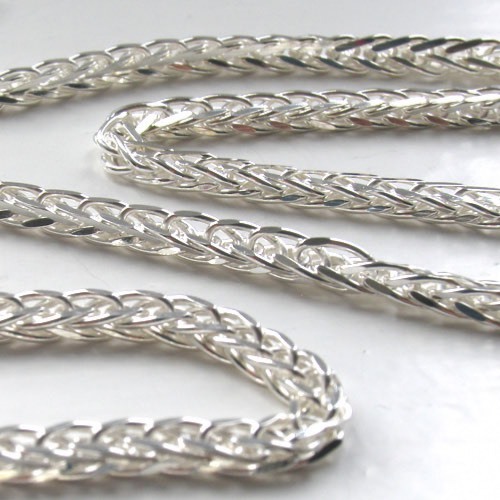 We also stock a diamond cut silver wheat chain in 3.5mm width which is a much denser and firmer construction.